Encourage both graduate and undergraduate students to tap into the enriching opportunities available in the College of Arts and Sciences by adding to existing funds or creating an endowment for scholarships, internships, and/or research fellowships. Add to this scholarship fund or create a new one so that more students can experience and gain understanding about our global society from fresh perspectives. Establish a faculty chair in anthropology, botany, chemistry, geology, history, math, or zoology. With competitive faculty positions, these areas of distinction will gain prestige, attract students and colleagues, and earn more research grants. Enhance the campus experience by introducing the ideas and creativity of renowned scholars and artists. 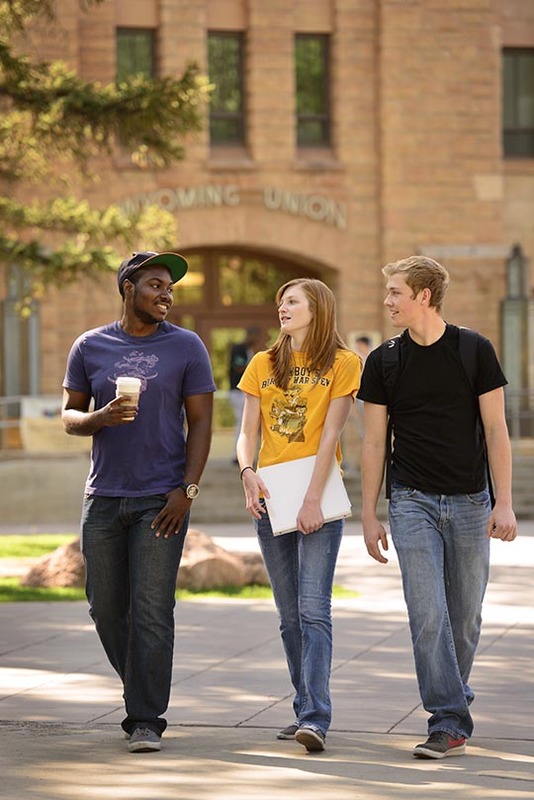 Long-term visitors are especially important to interdisciplinary programs (American Studies, American Indian Studies, African American and Diaspora Studies, Latina(o) Studies, Global and Area Studies, Religious Studies, and Gender and Women's Studies), professional programs (journalism and creative writing), as well as the arts. Create a targeted endowment or add to the Dean's Visioning Fund. Broaden student exposure to new concepts, combat Wyoming's relative isolation, increase opportunities for stimulating exchange of ideas, and show visitors the remarkable quality of UW students by contributing funds to host distinguished speakers from all academic disciplines and careers, and from diverse ethnic, racial, and national backgrounds. Link your name to an enduring institution and show generations to come your commitment to and support of higher education. Naming opportunities accompany substantial aid to refurbishing labs, modernizing classrooms, and adding wings to buildings. For more information, email Katie Kern, major gift officer, UW Foundation, or call 307-766-4364.